I have to admit that I’m not exactly someone who spends a lot of time on social media. Janice and Leroy, and this blog, keep me busy, and I’d rather spend my time planning a new house for the hens, than trying to come up with something witty to say on Facebook. However, just because I don’t tend to post on these sites, doesn’t mean I’m not there. One of my favorites is Instagram, primarily because I get to follow all the cute dog accounts. Instagram dogs are some of the cutest dogs I’ve ever seen, and it’s due in part to their owners’ excellent photo shoot skills. 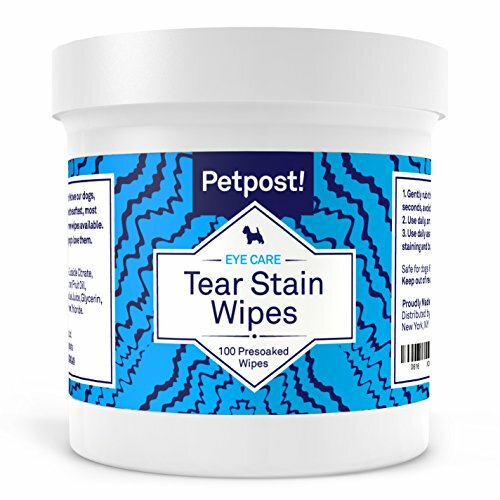 Petpost | Tear Stain Remover Wipes - 100 Presoaked Cotton Pads - Best Natural Eye Crust Treatment for White Fur - Maltese Angels Approved - Chemical and Bleach Free - 4 Oz. I’ve tried, once or twice, to take some good pictures of Janice and Leroy. I used some of the tips I’ve posted before for taking good pictures of your dog. But my silly dogs just aren’t cut out to be models. That being said, I think part of my problem is that I was trying to catch them unawares, instead of planning out an actual photo shoot. I went hunting for tips from Instagram stars on how they take photos of their dogs and discovered that pet photo shoots are a very serious thing – you can hire professional photographers and everything. If you are interested in making your dog a star, here’s what I learned. One thing that will definitely plague a photo shoot is if a dog is unable to calm down. If they are excited to be out and about with you, or too interested in jumping for treats than posing for photos, you may not really be able to get any good pictures at all. A blur of fur running past isn’t what you had in mind when you went to all the trouble to set up a time to take pictures. So it’s a good idea to plan the day around when you can take your dog for a nice long walk on the leash, or after a good game of fetch. Get them worn out so they are ready to just sit or lay down, and you’ll be able to get some better pictures. A lot of times, pet owners want to have a dog photo shoot in places where their dog is happy – like the dog park. But what if the park happens to be really busy that day, and there are just too many distractions for your dog? Sometimes it’s fun to take your dogs on a walk and snap photos of them at cool places around the neighborhood – but what if the weather isn’t cooperating? The best thing to do is to have multiple options in mind, including indoor options, so you can be flexible with not only the weather and your dog’s attention span, but also with whatever is interesting to your dog that day. You may end up finding that your own backyard is the best place to keep your dog focused. Keeping a dog entertained and calm during a photo shoot requires the right equipment and supplies. You should have a doggie bag full of anything you may need for your dog’s comfort and attention span. 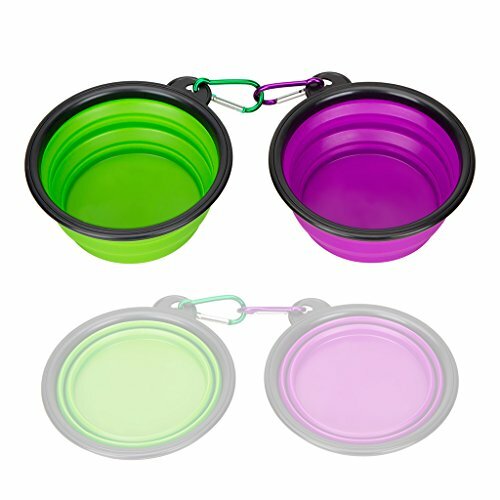 A water bowl and fresh water will be important for keeping your dog hydrated. You may want to bring along some kibble as rewards for good behavior. If you will be in a public space, bring some waste bags to take care of bathroom breaks, and you might also want to consider bringing along your dog’s favorite toys to use as focal points for getting good portraits. If you’ll be walking, you’ll of course want your leash or harness. If your dog doesn’t mind wearing clothes or accessories (like doggie sunglasses), you might want to bring some of those things for fun pictures as well. You may find that the best way to get your dog to take a good photo is if you are in the picture with your dog, holding them still or keeping them calm. This means you’ll probably want to be dressed in a way that you don’t mind being immortalized on film. However, keep in mind that you’ll be kneeling, playing with your dog, bending over, standing a lot, walking, and so on. Don’t dress in a way that makes it hard for you to interact with your dog during the shoot. And if you’ll be out for several hours, don’t forget to bring water and snacks for yourself and any other people involved as well. 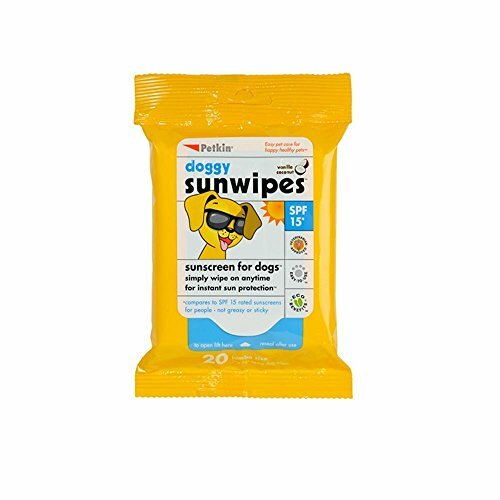 Sunscreen is always a good idea to toss in your bag – you can even get some to protect your dog’s sensitive nose and ears as well. For a pet photo shoot, you may just want to arm your significant other with a smart phone and hit the photo spot together. However, some people do like having a pro around to get some really good photos of their dog. When hiring a photographer, there are some things you’ll want to check to ensure they are good with dogs. First, look for a photographer that specifically advertises pet shoots. You can look on the bulletin board at your vet’s office, or in your local pet supply store. Also check out Instagram or other social media sites for local pet photographers. Search the web for local pet photographers. After you have a selection of options, you can look through their websites or social media profiles to determine if they have the style you want. Look at where they commonly shoot, if they usually do “posed” photos or candid photos, and so on. Once you’ve narrowed it down from there, talk to the photographers left on your list. Look for someone who is very friendly and enthusiastic about their job, and who has great answers to all your questions. This process will help you find the best professional for the job. You’ll probably want your pet to look his or her best for a photo shoot if you’re going to the trouble of hiring a photographer and picking a location. It’s a good idea to get your dog professionally groomed before the shoot. You may want to have this done a few days in advance if you want to get an actual haircut, just to give the cut a couple of days to look its best. However, if you just plan to get them a bath so they are nice and shiny, do it the day before the shoot. Go for a traditional breed cut, unless your dog has a specific “look” that you like to maintain. This will help show off their features the best. Go ahead and get some stain-remover for those tear stains under the eyes, and have your dog’s nails trimmed. Brush your dog the morning of the photo shoot and try to take any fancy photos that require them to be clean and well-groomed right away. Later, you can take the candid photos that allow them to be a bit dirty or drool-y. Showing up to a place with a dog that is either unfamiliar with the spot or hyped to be in a favorite spot for the first time that day, will be a recipe for disaster.Show up at the photography spot before it’s time to take photos, and let your dog get used to the space. Let them sniff around, take in all the sights and sounds, and calm down before the photography starts. You should also plan time for your dog to meet the photographer if necessary and become comfortable with them. You’ll probably also want to do a potty break before the photos start, so you don’t end up with accidental pictures of this event. Don’t stress about getting all the details of the photo shoot perfect. The location may not work out, the weather may not cooperate, the intended theme may not work for your dog that day…and a million other things may go wrong. Don’t go into the shoot trying to make everything work. Instead, just have a fun day trying to capture your dog’s cute behavior. Play with them, laugh at their antics, and have fun. The last tip I have is to let your dog be themselves during this photo shoot. If they don’t like to wear clothes, don’t make them. If they’d rather watch the traffic than look right at the camera, get some profile shots. If your dog gets muddy, take some cute pictures of them all dirty. They are a dog! They are supposed to be goofy, dirty, curious creatures – why not capture them in their best moments? The more you try to force your dog to pose or look a certain way, the less likely you are to really capture their true spirit on film. Make it a puppy play date. Invite a friend or family member with their dog and capture your dog having fun with their best friend. Make it a talent show. Does your dog have a really good grasp on special tricks that they are willing to hold as long as you tell them to? Show off with a photo shoot that highlights their cool talent. Get your dog in action. If your dog is involved in a canine sport or some sort of show, get a professional to record those moments. This is a great chance to really see your dog in their natural active state. Get a different kind of view. Your dog has a unique view of the world and learning what that looks like can be a fun way to celebrate your dog. Get a special harness and strap a GoPro to your pup – so they become the photographer. You’ll get to see what they see, and if you put the GoPro in the right place, you’ll also capture their flappy ears flying in the wind as they trot around. Take your dog and your camera to somewhere special. Get in some beautiful scenery by taking a hike with your dog and your camera. 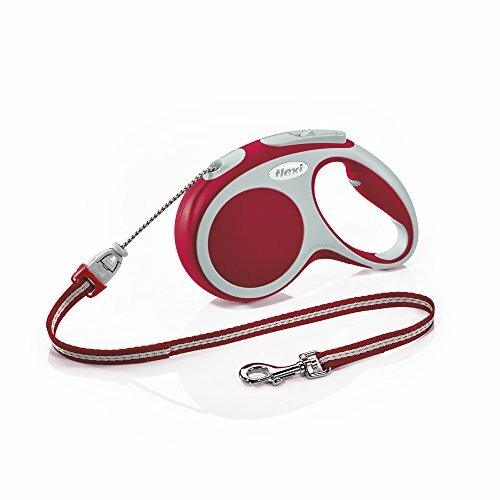 If your dog loves to hike, this is a good way to capture them in an environment that they are comfortable in. There are a lot of different ideas for getting your dog into a fun scenario for a photo shoot. Honestly, if your dog likes to be the center of attention and doesn’t mind props, you could even have a traditional photo shoot in a studio, with costumes, backdrops, and props. If that’s the case, you could easily create scenes that you couldn’t get anywhere else – dress your dog up like a queen, a cowboy, or anything that suits your fancy. The trick really is to make your dog comfortable before taking photos. If they like to be held, consider dressing up together and having a photo shoot that way. If they prefer to run, get a photographer who is good at sports photography, and capture them running. Their natural preferences will make the best photos – and you’ll be able to capture the memories that matter the most. Why bother with something this elaborate? Well, for one thing, it can be fun. But really, it’s all about making memories with your friend. You and your dog will be able to look back and recall younger days together when you grow old. 9 Emotions Dogs Really Feel – Backed By Science!